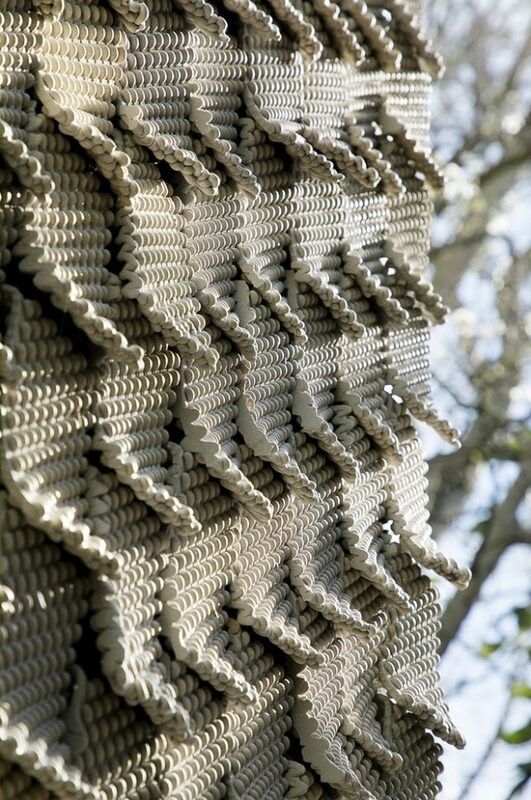 4,500 3D-printed ceramic tiles cover the facade of the ‘Cabin of Curiosities’ in Oakland, an experimental structure showing off how beautiful additive manufacturing can be. 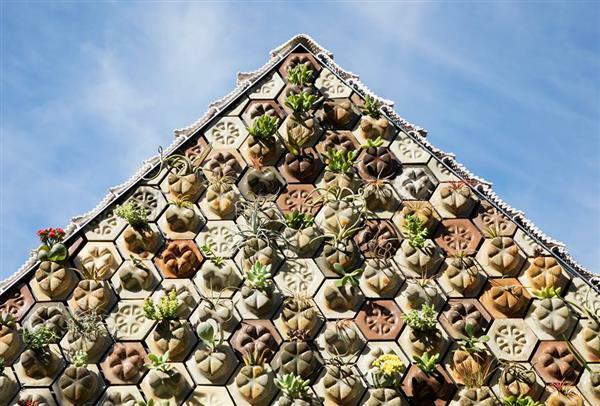 The facade consists of two different types of tiles by independent 3D printing studio Emerging Objects: the ‘Planter Tile’ and the ‘Seed Stitch Tile.’ Consisting of sawdust, Portland cement, corn-based bio-plastics and chardonnay grape skins, the tiles create a tactile living surface full of succulents ideal for the Northern California climate. 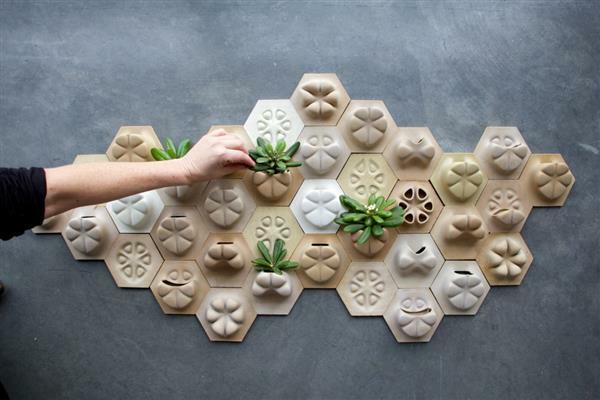 The ‘Seed Stitch’ tiles mimic the knitting technique for which they’re named, intentionally printed at high speeds to encourage the sort of non-uniformity you’d find in handmade objects – an interesting twist, considering the fact that precision is typically one of the most prized aspects of 3D printing technology. No two ‘Seed Stitch’ tiles are exactly the same. Inside, the firm has lined the walls and ceiling with translucent ‘Chroma Curl Wall’ tiles with custom relief textures. 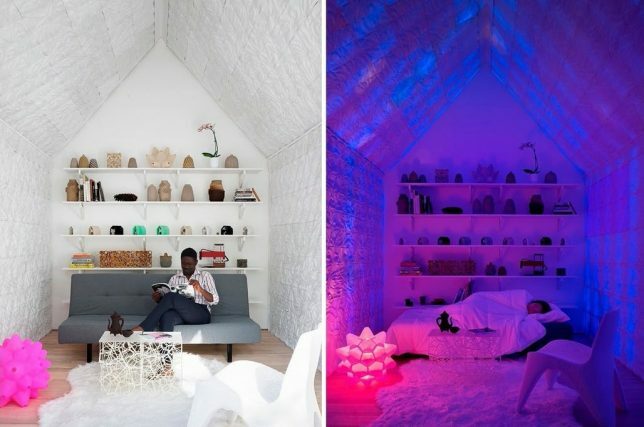 Additional 3D-printed objects created by Emerging Objects, like lamps and furniture, are scattered throughout the room. 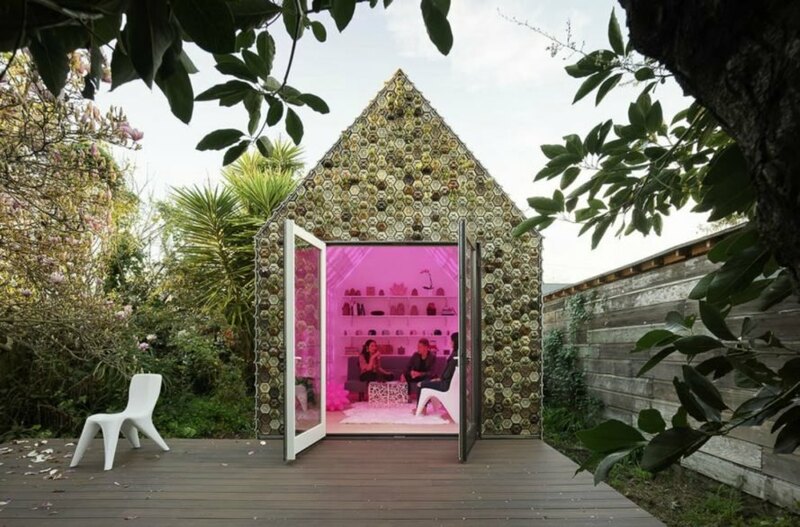 ‘Cabin of Curiosities’ is presented as a potential component of a solution to the Bay Area’s severe housing shortage. 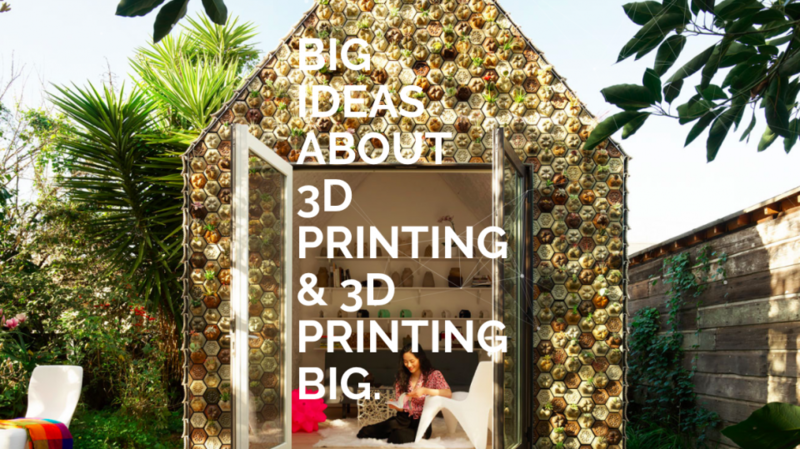 Emerging Objects, which was founded by Ronald Rael and Virginia San Fratello, professors at the University of California Berkeley and San Jose University, hopes to showcase the versatility of 3D-printed objects.